Pac-12 Networks, the sports media production arm of the prestigious Pac-12 Conference, is on a mission to transform the sports fan experience – reaching more viewers, at more locations, and on more devices. Their new approach takes advantage of AWS cloud technologies, including AWS Elemental Media Services, to re-imagine core master control production workflows as well as content archive, personalization, and monetization. The innovations demonstrate that higher-quality services can bring greater fan engagement and enhanced advertising revenue. By tying together a standardized video encoding source that feeds a comprehensive cloud production workflow and distribution network, Pac-12 Networks stands at the forefront of a fundamental change in how colleges produce sports media. AWS is powering live broadcasts of 850 games for Pac-12 collegiate sports over the 2018-19 season. By moving the Pac-12 broadcasts onto a standard cloud platform powered by AWS, every aspect of the media workflow can be enhanced and made more flexible for production and syndication. 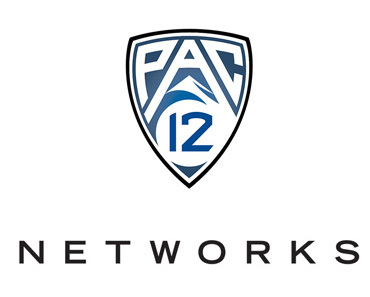 Pac-12 Networks is connecting its 10Gb multi-venue contribution network to AWS using a 1Gb AWS DirectConnect. AWS Elemental MediaLive and AWS Elemental MediaPackage services prepare all live streams for delivery in Apple’s HLS format to IOS, Android, Web, Chromecast and Apple TV devices. Taking the new cloud-centric approach, master control – the brains of Pac-12 Networks’ operation – uses Amazon Simple Storage Service (S3) and Amazon Glacier as petabyte-sized primary archives for all recorded content, and as the basis of an automated ingest workflow. The ability to call on unlimited amounts of Amazon S3 storage as required liberated other aspects of the production workflow, to enable, among other things, the creation of a new live-to-VOD capture feature. 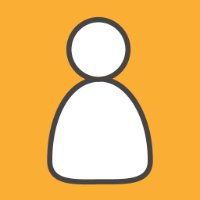 Because of the seamless use of this cloud workflow, AWS Elemental MediaTailor now provides a straightforward option to perform server-side ad insertion for both live and on-demand content, creating a whole new basis for content monetization. Other AWS services at play in the Pac-12 cloud infrastructure include AWS IAM, Amazon CloudFront, Amazon EC2 Autoscaling, Amazon Elastic Block Store (EBS) and Amazon Elastic Load Balancing (ELB) to provide a secure, highly effective backbone for TV everywhere service delivery. In the future, automated processing of the same assets with AWS Machine Learning services adds the potential for a whole new range of service enhancements, including automated gameplay highlight clips, and real-time closed captioning for broadcasters. Another potential future application involves AWS Lambda, a serverless application model that uses less compute for processing clip and highlight generation. In this workflow, the second a game is over, Pac-12 Networks would have all assets, such as game highlights, directly accessible for streaming and syndication partners. As a result, a wide variety of highlight options could be made available to fans, offering a much richer post game experience. To learn more about how to use the cloud to deliver great fan experiences, download our latest e-book or visit the live sports application page.